The Summit Point Karts racetrack in RFK's Lot 8 is not the kind of go-kart track you grew up on. If you really want to see the difference, go check out the race happening there Friday night. WASHINGTON — If you’ve driven past RFK Stadium since the summer, you’ve probably noticed three tracks, spotted with what appear to be go-karts. But these are no kiddie ride karts, and the race planned for this weekend is not your minutes-long race with buddies. 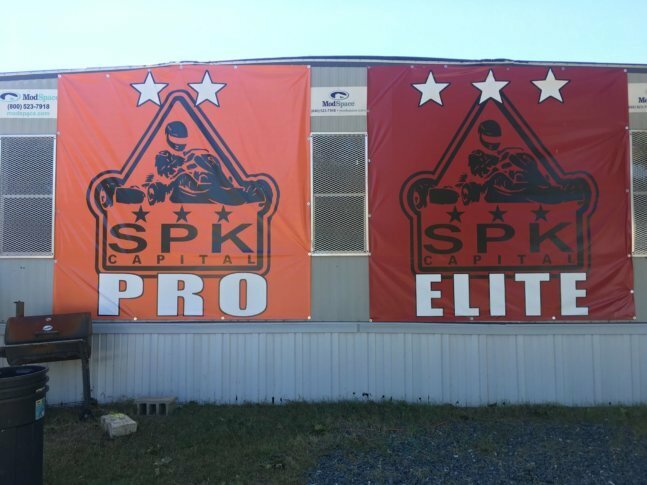 Friday night into Saturday, Summit Point Kart Capital Raceway, in Lot 8, the former home of D.C. United’s tailgate, will play host to a 14-hour endurance race. Teams of up to 10 drivers with crews will race all night, helmets affixed with lights to illuminate the way. Yes, in the dark. Yes, even if/when it rains. Scott is the son of former racer Bill Scott, and he’s spent his entire life in the racing world. Like anyone as immersed in a certain field as Scott is, he sees and talks about things a little differently. To drive one of the nine-horsepower karts, capable of speeds up 45 mph on the advanced track, involves learning the art of racing, not just tooling around with your buddies for a few laps. That competence is a requirement to advance from the beginner track to the intermediate one, and again to the advanced one. Scott says about 15 percent of drivers so far have proven themselves proficient enough to advance, at which point they can get more serious about the sport through a membership. But the beginner stage offers an entry point into a sport often thought of as something of a domain of the elites. At $25 for two six-minute sessions on track, you’ll get a feel very quickly whether this is something that clicks with you. It’s can also be a bit jarring if you’re not used to racing – you’re fitted with a rib cage protector, a neck protector, and a fire-retardant balaclava, which slips on your head under a racing helmet. The waiver that comes with many activities, warning of the potential for serious injury or death, feels a little more necessary. The “arrive and drive” opportunity is open to anyone who wants to try it out, and Scott says he’s been encouraged by the range of people who’ve come out to drive, ranging from adolescents to the AARP-eligible. While the driving population is overwhelmingly male, Scott said, there’s “no reason for that” beyond perception. This weekend is not about the beginners. But spectators are welcome to brave the elements just like the drivers if they want to see what it’s all about, as teams from all over the country descend upon the shores of the Anacostia to race through the night. “The environment that pervades around these things is every bit of Sebring or Daytona,” said Scott. For more about Summit Point Kart, check them out online, or just drop into Lot 8 and take one for a spin.